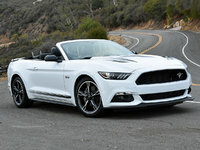 2017 Ford Mustang How our users rated the 2017 Ford Mustang. Based on 525 user rankings. Driven or own this vehicle? Rank this vehicle to share your opinion. 2017 Ford Shelby GT350 How our users rated the 2017 Ford Shelby GT350. Based on 346 user rankings. Driven or own this vehicle? Rank this vehicle to share your opinion. 2017 Subaru BRZ How our users rated the 2017 Subaru BRZ. Based on 1,032 user rankings. Driven or own this vehicle? Rank this vehicle to share your opinion. 2017 Dodge Challenger How our users rated the 2017 Dodge Challenger. Based on 945 user rankings. Driven or own this vehicle? Rank this vehicle to share your opinion. 2017 Nissan 370Z How our users rated the 2017 Nissan 370Z. Based on 975 user rankings. Driven or own this vehicle? Rank this vehicle to share your opinion. 2017 Chevrolet Camaro How our users rated the 2017 Chevrolet Camaro. Based on 325 user rankings. Driven or own this vehicle? Rank this vehicle to share your opinion. 2017 Chevrolet Corvette How our users rated the 2017 Chevrolet Corvette. Based on 861 user rankings. Driven or own this vehicle? Rank this vehicle to share your opinion.